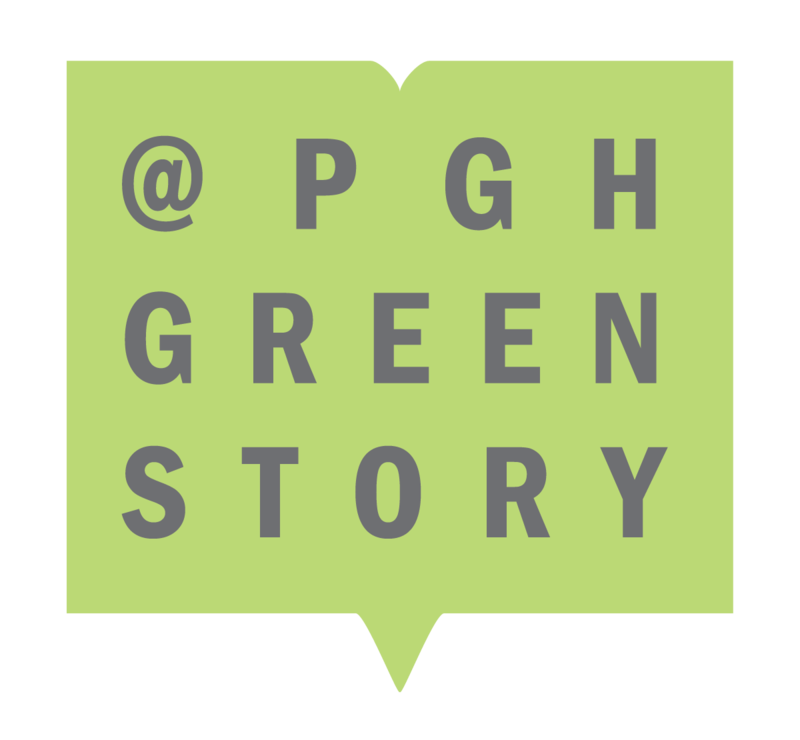 A living, breathing building located in one of Pittsburgh’s largest city parks now serves as a hub for immersive environmental education for Pittsburgh city school children and as a gathering place for community programs. 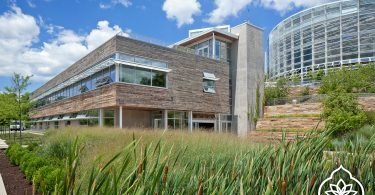 Designed by Bohlin Cywinski Jackson and located at the entrance to Frick Park, the new Frick Environmental Center has recently been awarded LEED Platinum certification and the Living Building Challenge–and is the world’s first municipally owned, free and open to the public, Living Building Challenge-targeted project. 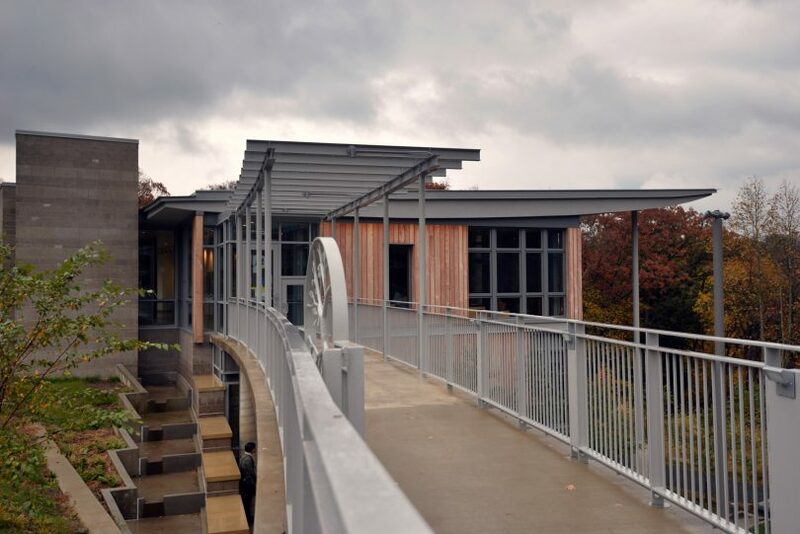 The new Frick Environmental Center is a project of the Pittsburgh Parks Conservancy in partnership with the City of Pittsburgh. Living Building requirements call for the creation of building projects that operate as cleanly, beautifully and efficiently as nature’s architecture, and the new Environmental Center achieves those goals with the gentlest possible impact on surrounding woodlands. In order to achieve Net Zero Energy and Net Zero Water, the new building fully supports its own needs for water and energy by incorporating technologies such as a ground-source geothermal heating and cooling system; a natural ventilation system; solar panels; and a rainwater collection and irrigation system that includes the use of parking lot canopies and permeable pavement in portions of the parking area. Rainwater from the Center’s roof is directed to fall in a water curtain, allowing visitors to look out through a veil of rain during downpours. That water is then collected and directed into the site’s water management system. Energy efficiencies also include the use of reclaimed rainwater for flushing toilets and irrigation purposes; redirection and capture of stormwater runoff from parking and lawn areas; and a wetland zone that will absorb overflow from the rainwater harvesting system. All waste water is filtered and treated on site before it is released naturally on site. The new Center, which opened in September 2016, includes welcoming indoor learning spaces, a public gathering area, public restrooms and offices, as well as an outdoor amphitheater. 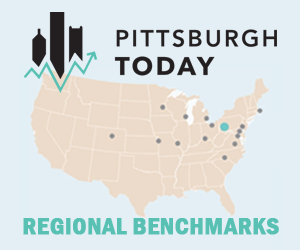 Pittsburgh Parks Conservancy will use the new space to grow its STEM-based K-12 science curriculum, which takes children out of the classroom into the living laboratory of Frick Park. The Center is free and open to the public during park hours.